Are you looking for an affordable but durable swing set? We know at times parents are pressed within a rock and hard place, trying to make their children happy. However, finances might limit your good plans. I’ve reviewed the Best Swing Sets under $500 that’ll also fit in both small and large backyards. If you have a small space or even planning for a low budget swing set, that has several play activities. Then, I believe the Weston All Cedar Swing Set will be ideal for you. This fun playset has a durable fort with attractive canopy overhead. It also features 8′ speedy slide, and a rock wall. The sand box area offers a cool place where kids can relax and interact. Thus, developing their social skills. Furthermore, the two belt swings and the trapeze swing keep kids glued for hours in outdoor activity. The snack stand comes with an integrated bench where kids can relax as they enjoy their snacks. The playset meets ASTM safety standards, thus your children are guaranteed safety while playing. Further, this product is made from high quality material; hence it resists rot or decay. Give your kids unforgettable fun experience with this amazing Flyer Play Park Swing Set. Your kids will never run out of play activities with this set as it has several play options to keep children entertained for hours! This metal swing set comes with 2 swings, a wave slide, a teeter-totter, a ladder, and a shoe loop swing. If you have a large family or you regularly host your friends with their children, then this is the perfect swing set for you. The set can accommodate up to 10 kids simultaneously, giving them an exciting play experience. You should not worry about the safety of this metal swing set. It is made from durable steel frame; hence it can withstand the test of time. The manufacturers have been careful enough to maintain high standards of safety. The chains are properly covered to safeguard against any harm. Further, the swing chains can be adjusted to fit the height of your kids. The 6-leg design guarantees strength and durability of the set. Outdoor play has now been made more exciting and fun with this incredible Sportspower Swing Set. This set allows multiple children to get engaged in different play activities at the same time. This means more fun and excitement for the kids all day long! This metal swing set features 2 standard swing seats, footrests, and a roman glider that contains 2 seats. It also has a flying saucer that can accommodate two kids, bringing extra fun to your backyard. In addition, the swing set comes with a 6’ wavy slide to give kids a thrilling experience as they slide their way down. The trampoline will keep kids bouncing happily and active for hours. With this set, the height of your kid is no longer a limiting factor during their playtime. You can adjust the swing chains to your preference to accommodate everyone. To ensure durability and safety, this set has been made from a heavy duty material and steel tubes that are weather resistant. All its hardware is covered using a powder-coated paint to guarantee durability and superior toughness. Parents can rest easy knowing that this product meets all ASTM playground safety standards. Thus, safety of your children is the priority of the manufacturers. This Sportspower slide and Trampoline Set can fit perfectly in medium or large yards and can accommodate 8 kids all playing simultaneously. Its weight capacity is 800 pounds total and 100 per child. The recommended age is 3 to 8 years. When assembled it measures 179 x 96 x 74. Its Components are pre-drilled, thus ease of assembly. If you want your kids to have hours of excitement by enjoying their outdoor play, then this amazing UFO Swing Set will do the trick. This swing set features a Saucer Swing that is strong and safe. You will not need to worry about the safety of your kids while swinging. The set comes with a unique design, color, and style to appeal to your kids and encourage them to get out and play. Weather you have a small or large backyard; this set is easy to assemble and takes limited time to install. To ensure durability, the swing set is constructed with a Heavy Duty steel material. 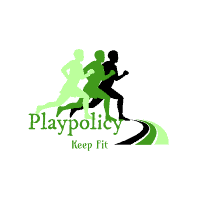 Guaranteeing your kids fun and physical exercise for years! Further, the set contains an adjustable chain, which allows kids of all heights to enjoy. The dimensions of the set are 84 x 69 x 73. The recommended manufacturer’s age is 3 to 8 and maximum weight capacity is 110 lbs. Limited fun activity -has only one activity that kids can enjoy. Introducing another swing set that is under $500, but still keeps kids entertained and excited for hours. The Rosemead Metal Swing set offers many play activities that can keep several kids engaged at the same time. The set features a slide, 2 swing seats, a Roman glider, and a flying saucer. This swing set will definitely encourage kids to get outside and play. Go ahead and surprise your kids with this fun and amazing swing set from Sportspower!! This is one of the simplest and basic swing set that we’ve come across falling under $ 500. It only features 2 belt swings. But still gives kids unforgettable swinging experience. It’s made of powder-coated steel that helps to protect it against rusting. It also comes with a UV-protected polyethylene to reduce fading, discoloration, and heat retention. This swing set has been carefully constructed to avoid warping, splinters, and rough edges. The Recommended age is 3-8 years, and the kids should not weigh more than 100 lbs. If you want a simple, yet extremely fun swing set, then the Swing-N-Slide Orbiter set is ideal for you. This wooden swing set features 2 swing seats and a gym ring. The manufacturer’s had the safety of kids in mind while making this product. All wooden guard posts are rounded carefully and are maintenance-free. They also come with a warranty of 5 years. For ease of installation, the set comes with A-frame brackets, all required hardware, and fully illustrated instructions. Parents can relax knowing that the set meets all playground safety standards as set by ASTM. If you have several kids and want a set that can comfortably accommodate all of them, the Big Backyard Andorra playset will be ideal for you. Although the name of the set is “big”, it can fit perfectly even in smaller yards. It has a compact footprint of 80 sq. ft. So, don’t let the name scare you! To ensure hours of fun and excitement for your kids, the playset contains a rail wave slide, rock wall, and a ladder to help kids get to the upper deck. The set also features a sandbox, and 2 durable belt swings to give kids maximum fun and excitement. This playset can accommodate up to 7 kids with a weight limit of 110lb. per kid. The recommended age is 3-12 years. If you want your kids to adopt a fitness lifestyle, then this is the ideal swing set for them. The ironkids playground set offers lots of amazing fun activity for several kids. With this set, you are guaranteed value, when it comes to play activity! With 4 play activities, 6 kids can have fun simultaneously. The set features a Fitness Jumper Trampoline that improves body coordination and balance. It also helps to strengthen the knee, legs, and hamstring muscles. The 2 swings help kids’ burn calories while they have fun swinging. Swinging also helps to engage several muscles, like quadriceps and hamstrings. The ironkids playset is great for fitness. It helps kids eliminate excess weight and build arm strength by engaging in several play activities. The monkey bar helps to strengthen the shoulders, chest, and arms. The set also features a fitness slide, a ladder, and a sunshade that comes with UV sun protection that allows kids to play even under then scorching sun. The dimensions of the set once assembled is 13.5 x 6.5 x 6.4. Another amazing swing set that falls under $500 is the “World Of Fun” swing set. This set features several play activities that can allow up to 10 kids at the same time. It features a wave slide (green), 2 swings sets with adjustable height chains, and a rocket rider that can accommodate 2 kids. It also has a trapeze combo, an air-glider for 2, and a seesaw. This set is very attractive as each part is painted with a different color to appeal to the kids as well as make your backyard look colorful. The manufacturer recommends an age range of 2 to 10 years and a weight capacity of 105 pounds per child. Total weight limit is 1050 and comes with a 180 day warranty.